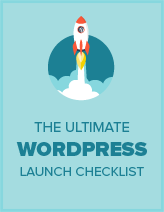 Do you want to display a list of all shortcodes supported by WordPress and your theme? While there’s probably a plugin for this, we have created a quick code snippet that you can use to print a list of all supported shortcodes in WordPress. If you liked this code snippet, please consider checking out our other articles on the site like: 9 best WordPress accordion plugins and how to create a contact form in WordPress. Where exactly do you put this? I don’t think it would go in the front-end (public view) theme, right? Well you can put it anywhere but this is just a print_r if you try it you will see it just prints the array itself. This is just something people may find useful to integrate into a plugin or admin interface. Cool glad you like the snippet!